Fifteen years ago, a friend shared a story with me. I was a college senior; from the outside I appeared “just fine,” but beneath the surface I was a tangled-up mess. My resumé was polished: perfect grades, recommendations, and charity work, but inside I struggled with the pressure to be perfect and to impress a watching world. I was twenty pounds underweight, daily dry-heaving from stress. I had attempted suicide and had no idea who I really was beyond what was on paper or what I thought the world wanted me to be. I lost my mother to breast cancer when I was just fourteen. In my grief as a teenager, I struggled with rebellion, depression, and substance abuse—the opposite of the good girl I aspired to be in college, trying to atone for the missteps of my past. I was ashamed of who I once was; living with this shame caused me to hide the girl I had been. For years I made every human effort to correct, overcome, and ignore the pain from my past. I believed forgetting what had happened to me in my small, Ohio hometown would give me the freedom to be a new person and start over. But untethering myself from who I was and where I came from—even with a shining new resumé—still left me longing for something more . . . living successfully in the present without accepting the dark places from my past left me feeling tangled-up and incomplete. My friend shared his story, his struggles, and how God had changed his life through reading the Bible and trusting in Christ’s work on the cross. I had never read the Bible for myself. In my personal religion based on my own experiences, I believed the way to heaven was to do the things I was doing: be a good girl, build a resumé, and contribute to charity—but I was exhausted and sick from trying to perform my way to heaven. My friend’s vulnerability and trust in Christ stirred my heart. So, I began to read the Bible to discover who God is and what’s required for a relationship with Him. As I read, I learned God doesn’t want people to build impressive resumés before they come to Him. I learned God died for me even when I was rebellious and wounded. The only requirement God has for me is to trust Him with my whole story—the dark and bright chapters. “But God, being rich in mercy, because of the great love with which he loved us, even when we were dead in our trespasses, made us alive together with Christ — by grace you have been saved, this is not your own doing, it is the gift of God, so no one may boast”(Eph. 2:4,8). This is the gospel—the good news—I cling to daily, moment-by-moment. God loves us so much, He sent Jesus to die for us when we were spiritually dead, to give us everlasting life. It has nothing to do with what kind of life we live—Christ died for the good girl and the rebellious girl too. Eighteen months after I believed, I found myself at seminary with my husband of six days. Three years after that, God called my husband to serve as youth pastor of a church near my hometown. By the time I was thirty, God gave us four children, and the next year God called my husband to be the lead pastor of the same church, just fourteen miles from the place I had been running from most of my adult life. When I see the unique story God is writing for me within the greater picture of the entire gospel story, I see God called me back to the places I was running from so He could heal me. Healing is a slow unraveling of the old and a gradual embracing of the new. In every chapter of my story, God is redeeming me layer-by-layer, from lingering layers of wounds, lies, and shame, as I learn to trust Him. God’s purpose is to reveal His goodness and glory. He is the author of every chapter of my story, which helps me see beauty in every chapter. God is slowly unraveling me from the old to wholly embrace the new creation He is making me to be in the gospel. I share my story, so you will know God is writing a beautiful, redemptive story for you too. There is power in the unique story God is writing for you. I hope you will embrace the dark and bright chapters. He is redeeming us in each chapter. The more we open up and let others see our chapters, the more we see how God is redeeming the world. Your unique story contains the power of the gospel. Write it out. You never know how God could use your story to stir the heart of someone else—and draw them to himself. God is writing your story for a unique purpose, and there is power it. Rachel Craddock is a graduate of Eastern Kentucky University (05’ B.A. Education) and a first-grade teacher at heart. Rachel has been in the PCA since she became a Christian through the ministry of Campus Outreach during her time at Eastern Kentucky University. She has served in children’s, youth, and women’s ministries in the local churches she has attended over the years. Rachel currently serves as the Women’s Ministry Coordinator at North Cincinnati Community Church, is a writer and speaker, and serves as CDM’s Regional Advisor of Women’s Ministry to Mid America. 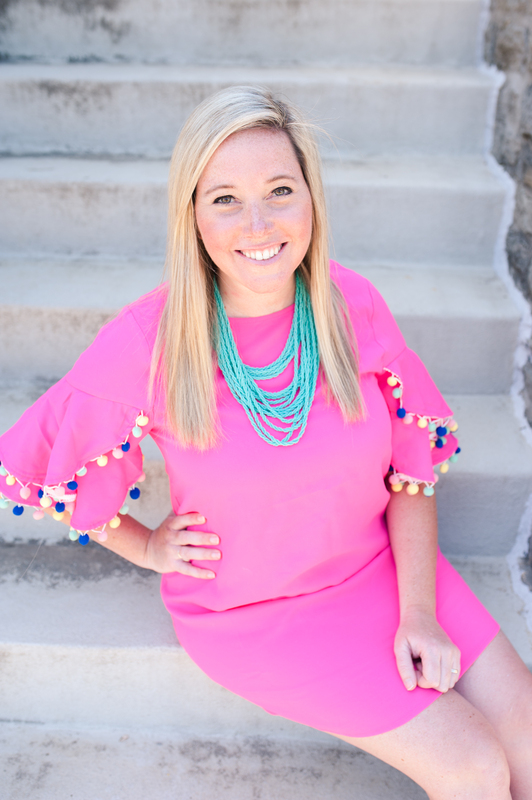 She writes on her blog and speaks at women’s events and retreats out of a desire to encourage women in a relatable way to practically apply the gospel to their daily lives. Slowly Unraveled: Changed from the Inside Out was written from a heart that desires men and women to embrace the freedom of the gospel as well as encourage others to cling closely to a daily lifestyle of repentance, faith, and obedience. The gospel doesn’t require perfection, but it does require relationship with a God who unravels the old and makes us new in the redemptive blood of Jesus. When not busy serving in her community as a substitute teacher in the public schools or parenting her four fun children Ezra (10), Asher (8), Caleb (7), and Lydia Jane (5), Rachel enjoys reading, dark roast coffee, trail running, traveling, date nights, and blogging. She and her family are members of North Cincinnati Community Church in Mason, Ohio where her husband serves as lead pastor. You can stay connected with Rachel on Facebook, Twitter, Instagram, or right here on her blog, rachelcraddock.com.